National Pestmobiles has proven to remain a leading provider in the pest control management industry for over 40 years. In order to remain the best we must utilize the very best tactics towards pest management. Utilizing an aggressive approach known as Integrated Pest Management (IPM), our technicians will provide practical solutions to your pest problem with each and every visit. You may be asking yourself, what is Integrated Pest Management?  National Pestmobiles pest management services stress Integrated Pest Management or IPM. IPM integrates preventive and corrective measures to reduce pests to a mutually acceptable level. These measures employed by the modern pest management professional include inspection, sanitation, identification, exclusion (mechanical and chemical), monitoring, and when necessary, utilization of pesticides. When pesticides are utilized in the conduct of IPM, our pest management professionals utilize products that are most effective for the target pest. Furthermore, the least amount of pesticide at the lowest application rate possible is used to achieve the desired results. Utilizing IPM, National Pestmobiles and you, our customer, can now enjoy life free of unwanted pests while safeguarding the environment around us. The answer is simple, call National Pestmobiles. We'll work hard towards identifying the problem and offering you a reliable solution. Below you can learn more about the pest management programs provided by National Pestmobiles. This package covers American Roaches, Oriental Roaches, Smokey Brown Roaches, German Roaches, Brown Banded Roaches, Fire Ants, Pharaoh Ants, House Ants, Silverfish, Firebrats, Scorpions, Centipedes, House Spiders, Carpenter Bees, Carpenter Beetles, Earwigs, Crickets, Roof and Norway Rats, House Mice, Fleas and Ticks. Covers only specific agreed needs between customer and National Pestmobiles. Termite Control What are these black, winged insects in my home? Adult reproductive termites are dark-brown to blackish insects, about 3/8 inch-long. Commonly referred to as "swarmers", the job of reproductive termites is to mate and start new colonies. 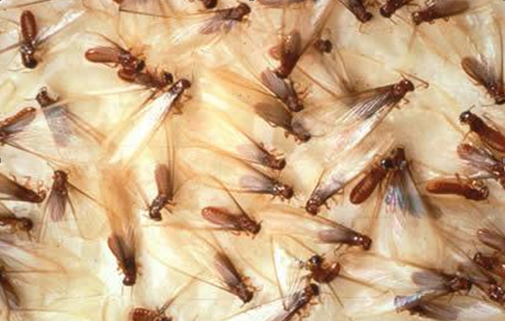 Termite swarmers may or may not have wings. Shortly after they emerge from their underground tunnels, swarmer termites shed their wings. Swarming termites are often confused with ants but can be distinguished by two characters. Termites lack the "pinched" waist of ants. Termite wings are all equal in length and almost twice as long as the body, compared to ants that have distinctly longer front wings. Although termite swarmers can, occasionally, enter homes through open windows, finding termite swarmers indoors is a reliable signal of an indoor infestation. Termite swarms can occur throughout the year, but are most commonly seen between the months of February and May in Texas. Out of sight and expectantly, termites work ruinously at your floor joists, sawing into your wall studs, hollowing out the very heart of your home. Unfortunately, the damage is often beyond repair before you ever realize it. Causing more damage than a natural disaster such as fire, earthquake, any other storm, termites are by far one of the biggest hazards a homeowner faces. Ignoring their hunger for the wood product of your home puts the structural integrity of your precious investment completely in jeopardy. Click Here to schedule a appointment today! Rodent control services from National Pestmobiles will provide you peace of mind. You can depend on the experts at National Pestmobiles to control rat and other rodent infestations. Whether your rodent problem is at home or at your place of business, you can trust that National Pestmobiles will eliminate your rodent infestation effectively and also provide you with eradication tactics to prevent further infestation problems. A rodent problem has the potential to create billions of dollars in damage each year. By gnawing on property, rodents are not just a menace but can have disastrous effects on your home and other valuables. The house mouse and Norway rat are two of the most destructive pests in the United States. Keep your family safe and maintain the value of your home with rodent control from National Pestmobiles. Aside from the financial destruction, many rats and mice are active disease carriers that can actually be fatal to humans. Our rodent and rat control services will benefit your business, too. Rodents can cause structural damage to your business property and can risk the well-being of employees and customers. Don’t jeopardize potential business and health violations with a rodent control problem. The reproductive potential of a single pair of rats or mice is astonishing. Therefore, National Pestmobiles will provide the utmost in rodenticide technology so that we can abolish your rodent problem forever! Our expertly trained technicians can also offer prevention tips for complete and permanent rodent and rat pest control and eradication. Rodent eradication is actually a multi-step process which must be followed precisely to ensure to success of the treatment. Our rodent control technicians at National Pestmobiles will begin with a thorough inspection of your property in able to determine the entry paths of the infestation. Secondly, rat proofing by exclusion becomes a priority. Finally, once the rodent has been removed and the area proofed, Decontamination is highly recommended to insure complete rodent control. Due to potentially massive destruction that ants can create on your home, business and self, ant control has been considered the number one concern among the pest control industry. Using their large jaws, Carpenter Ants cause damage to structures to create nesting places in wood. Large colonies of Carpenter Ants will create a sound similar to putting rice crispies in milk. The large piles of (saw shavings) grass they leave behind cause many property owners to panic. Don’t Panic! Our experts at National Pestmobiles will promptly be at your rescue. 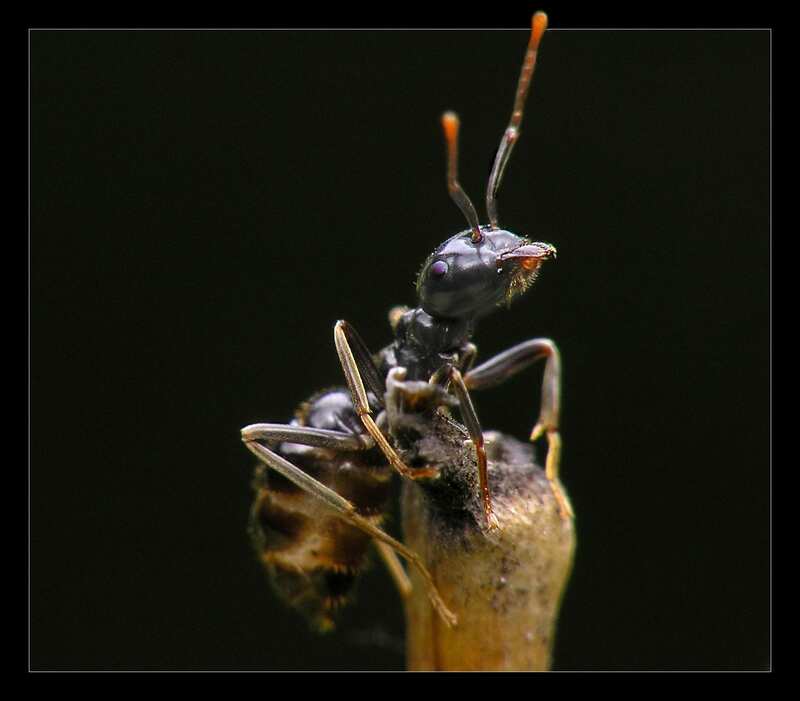 Utilizing the technology of Termidor, our technicians will provide a front line defense against your ant problem. We firmly believe in the product excellence in which Termidor represents. At National Pestmobiles we will take a hands-on approach to eliminate your ant problem. Termidor is the most effective, low-dose insecticide for controlling ants outside your home. The Cure for What Bugs You! Your home and yard should be a place of retreat and ultimate relaxation. Your outdoor living space should be a location for many hours of enjoyment occur and memories are made to last a lifetime. However, like most fellow Texas residents, you probably find yourself at the mercy of exasperating insects such as mosquitoes, gnats and flies, and typically your events become less than enjoyable due to the presence of these uninvited intruders. 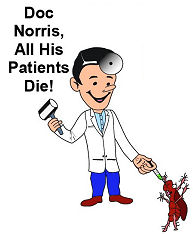 Fortunately, "Doc Norris" and his experts at National Pestmobiles now have your solution to your mosquito and other flying insect problem. Utilizing the state of the art innovation of the MistAway Mosquito Misting Systems, we have revolutionized our strategy of effectively eliminating mosquitoes and many other biting insects. Life is too short to feel uncomfortable in your own backyard. With a MistAway System installed by National Pestmobiles, you don't have to! Upon consultation, our experts at National Pestmobiles will provide you with a customized design in which a series of nozzles, reservoirs, misting line, and risers will be installed into your fence lines, eaves and within your landscaping. Because the insecticide of the system is actually derived from chrysanthemum flower, the scent of your outdoor beauties is never affected by any type of harsh odor. 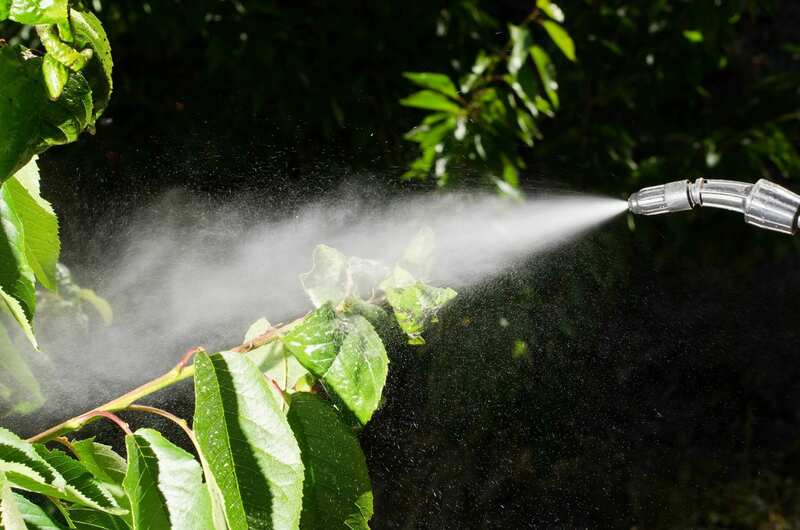 With a precise timing system from dusk to dawn, the perimeter of your lawn receives a continually treatment by spraying a fine mist throughout the yard.The Mist settles on the grass and landscaping, killing any mosquito that comes in contact with it. It also kills or repels other unwanted pests like spiders, flies, gnats and no-see-ums.